Are you a carb addict? Love your cereal, breads, pastas and rice but worry about packing on the pounds? You are not alone. Well, I have some good news for you. I have a low carb rice recipe that you can use in just about anything. You can throw it in your stir fry or curry, eat it as a side dish, and eat it as late at night as you want and you wont put on an ounce of fat. What is this magical rice recipe you ask? Cauliflower rice! That's right, a rice recipe that not only tastes and has the same texture of rice, but it has no starchy carbohydrates meaning you can eat as much of it as you like and not get fat. Not only that, but you will be providing your body with a whole lot of nutrients and a serving of vegetables without even knowing it. I only discovered this recipe a couple of weeks ago, but it turns out it has been around for a while. It is so easy to make and totally satisfies those carb cravings. Check it out. 1. 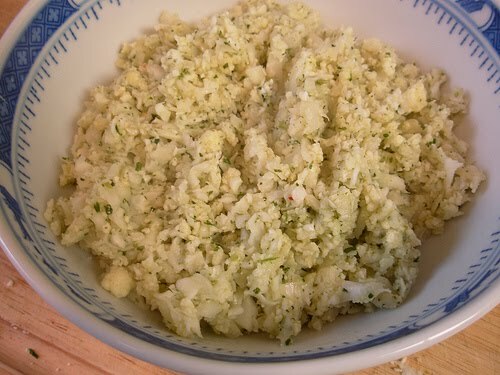 Using a grater (or food processor if you have one) grate the cauliflower including the stem into a large bowl. You can use the small holes or large holes of the grater depending on how big you want the 'rice' to be. 3. Heat in microwave for 4 -5 minutes. 4. Add optional toppings and serve. If you prefer not to microwave the cauliflower, you can also steam it, or just throw it straight into your stir fry with the other vegetables and cook it. That's pretty brilliant. I can't wait to try it. "Rice" sounds lovely I'm def going to try this. I already love making cauliflower "mashed potato". 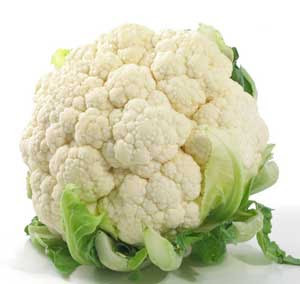 Boil up whole head of cauliflower with one tiny piece of potato for authentic flavour. Blend up to a smooth mash in the food processor and add a little bit of dairy (or substitute) to get desired texture and taste. Mashed potato mouth feeling with hardly any of the carbs!